Wood fireplace designs are getting better every year. Now, homeowners have a great variety of innovative designs and materials to choose from. Despite the popularity of fireplaces fuelled by gas or electricity, there are still many homeowners who opt to use wood fireplaces. Why do people still opt to use wood fireplaces? The ambience and atmosphere that a wood fireplace evokes are warm, cosy and inviting. There is really nothing like a flickering, crackling fire with a woodsy aroma. It is a sustainable and renewable energy source. Gas –fuelled fireplaces have limited heating capabilities compared to wood fireplaces. Choosing the best wood fireplace for your home really depends on the design, size, and configuration of your indoor space. Some people choose inbuilt wood fireplaces probably because they already have an existing fireplace or because they have less space. On the other hand, there are some who opt for freestanding wood fireplaces, which can be positioned at a safe distance away from a wall. A well-designed and expertly-built wood fireplace creates a dramatic focal point or a decorative accent in a room. They are more flexible because they can be positioned anywhere in the room. They are more efficient compared to inbuilt fireplaces because it radiates more heat into the room. If your family has young children and safety is of utmost concern, then a freestanding heating unit is a safer option. Most units are designed with a glass door so there is no risk of stray embers flying out. 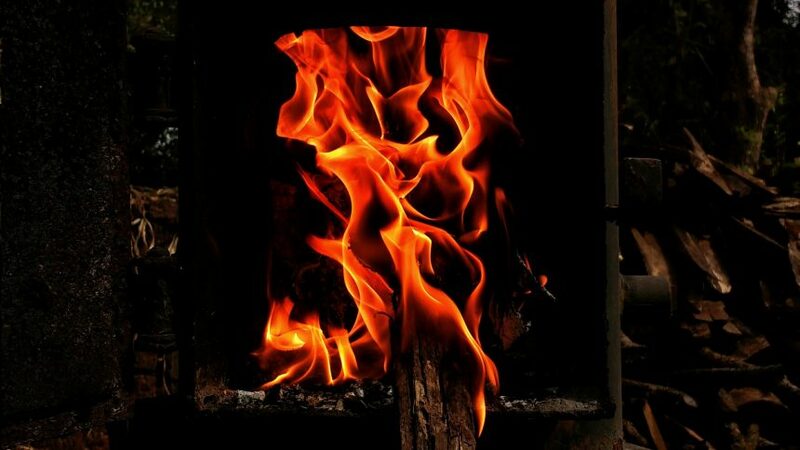 The heat of a wood fireplace is rated in kilowatts. There is a variety of heating power available on the market today, ranging from 4 KW to 16KW. Choosing how much heating power you need solely depends on your room size and room insulation. Freestanding low-combustion fireplaces have more heating power and longer burn times compares to inbuilt wood fireplaces. All wood fireplaces should be installed in compliance with the Australian standards. Make sure that the smoke from your flue does not enter your neighbours’ living spaces. Some freestanding models have a fan accessory which can only be used if allowed by the local authority. Remember that there should be at least a 25 mm gap between any combustible material and the flue shielding. A floor protector is necessary if the freestanding wood fireplace will not be placed on a fireproof floor. Australian regulations require that the minimum floor protection is a 6mm fibre cement board, which should be directly fastened to the floor. There are steel baffles for efficient burning. Most freestanding fireplaces have a special built-in wood storage unit. Some wood fireplaces feature controlled-combustion technology.